Hello everybody Harrison here, I'm the level designer at Skunkape Interactive. Recently we added in a new climbing mechanic to DENIZEN. As we continue to develop DENIZEN we are always itterating and smoothing out the mechanics. 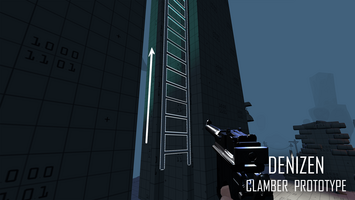 Not too long ago we had implemented ladders to add that extra option when it comes to traversing environments. After testing and messing around with the new ladder mechanics it gave me the idea to tweak their setup to see if they could be used for climable ledges. It was rough but it turned out to be alot of fun being able to jump back and forth and climb up objects. Shortly after we had our programmer tweak it a bit in order for it to be more of a feature. I've always been a big fan of games that gave you multiple options when it comes to exploring and traversing environments. 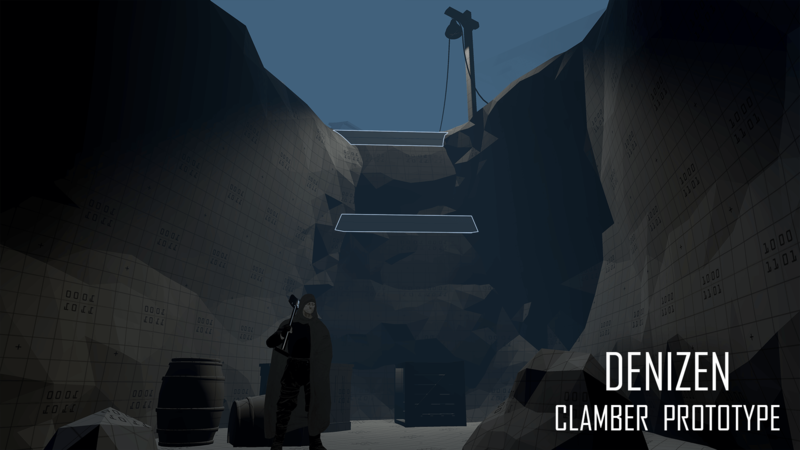 This new climbing mechanic will allow me to add a bit more verticality to the level design of DENIZEN without it being tedious for the player to traverse. So let us know what you think! 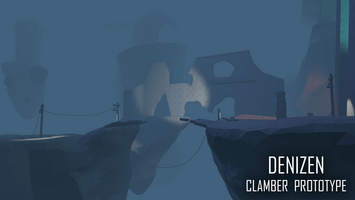 The following screenshots do not represent the final game, they are of a test environment made for the sole purpose of testing the climbing mechanics in DENIZEN. 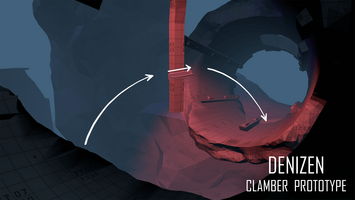 The climbing mechanic in Denizen is pretty simple actually. 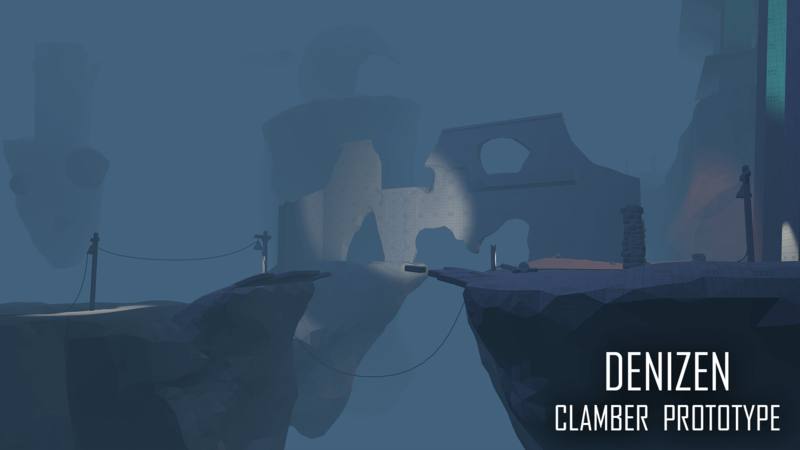 Whenever you approach and look at an object that is climbable it will highlight with a light silhouette outlining the climbable portion. By looking at and jumping towards these objects you will immediately latch on when coming in contact with the object and be able to begin climbing. 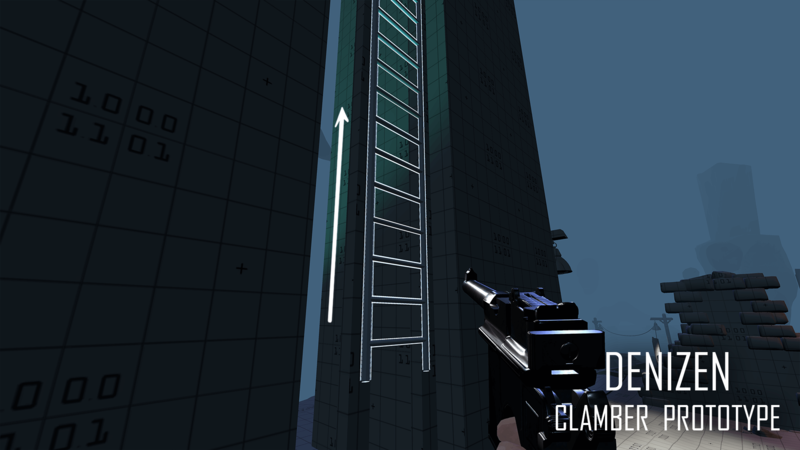 Walking into climbable objects like ladders or vines will automatically snap you to them and you can immediately begin climbing. 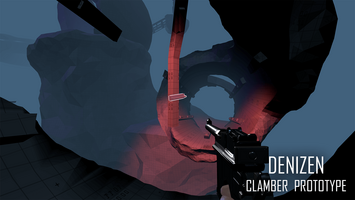 While climbing at any point the player can stop and freely look around 360 degrees. 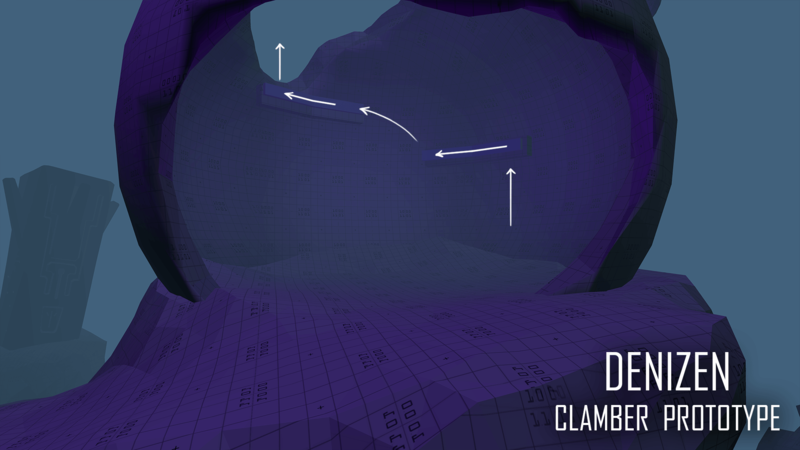 When looking out from the object the player can aim where they want to go and jump out from the object they are currently on. 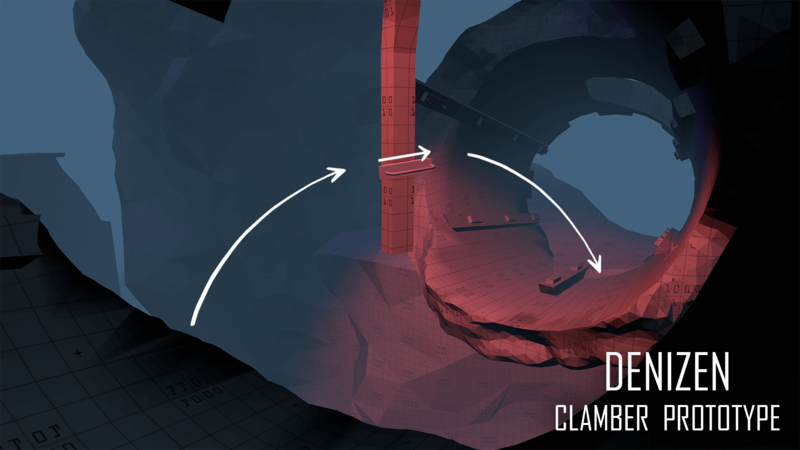 If they jump to another highlighted climbable object they will automatically latch onto it and be able to continue climbing. This allows for players to scale walls and other objects that they would normally be unable to. In many situations the player will come across gaps too wide to clear by simply jumping. In these situations the player must scan the environment for an object to jump towards and latch on to. 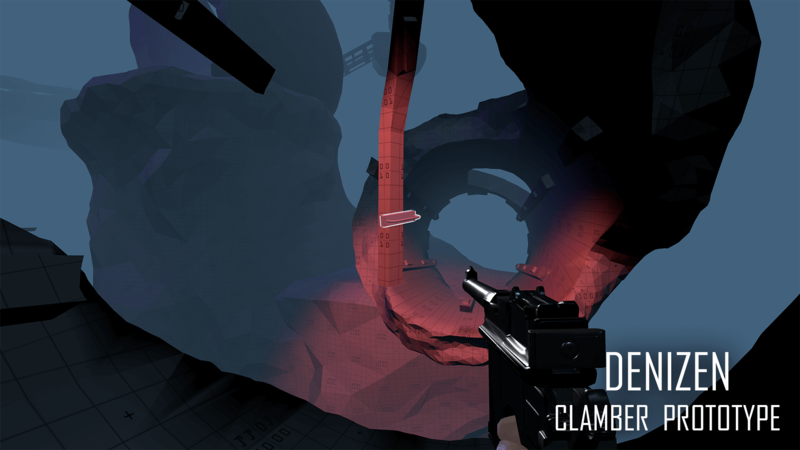 After jumping and grabbing onto the object the player can jump out from that point allowing them to clear what would normally be an impossible jump. 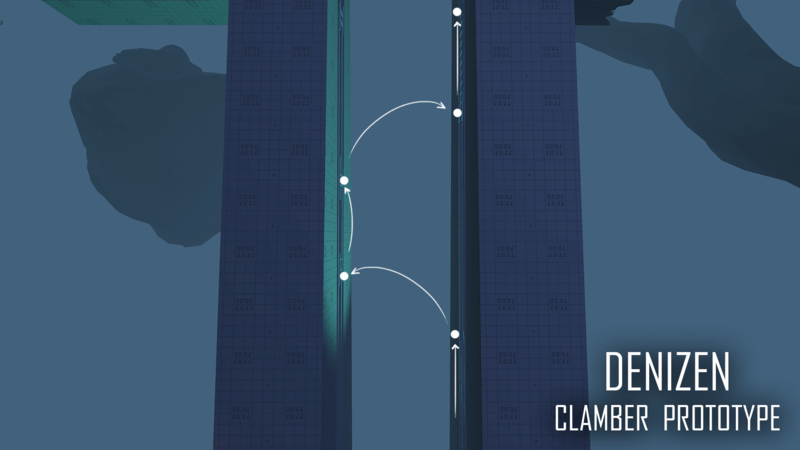 In many cases the player will come across points where both shimmying and jumping from object to object will be necessary to progress. Slender objects like ledges and railings can't be climbed vertically but can be shimmied along horizontally. 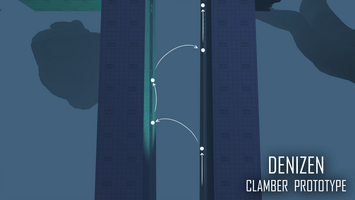 By shimmying along ledges the player can better position themselves for jumps to other ledges and climbable objects. Any way that about covers all of it. I hope you enjoyed reading about our new climbing mechanic.